Inspiration taken from the Etsy shop LilMissCraftyPants. Check out all her GREAT stars for sale! 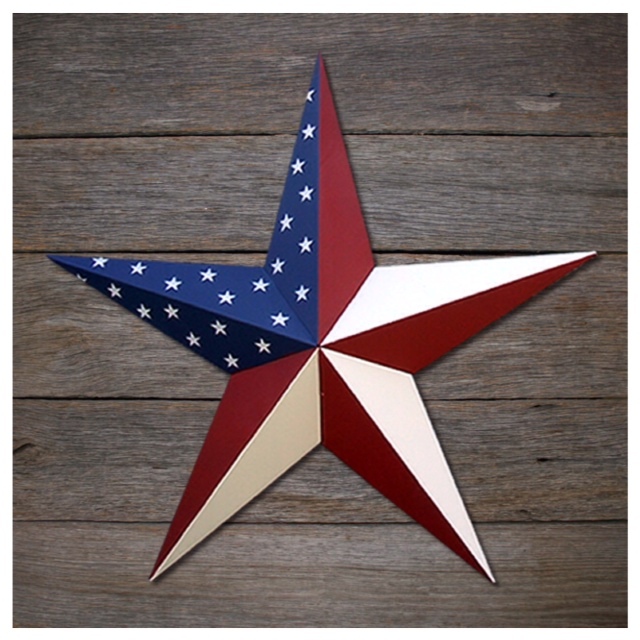 Description: Learn how to make this 16″ wide, custom designed, decoupaged tin barn star – perfect to hang on your door for the 4th of July/Memorial Day/Labor Day! 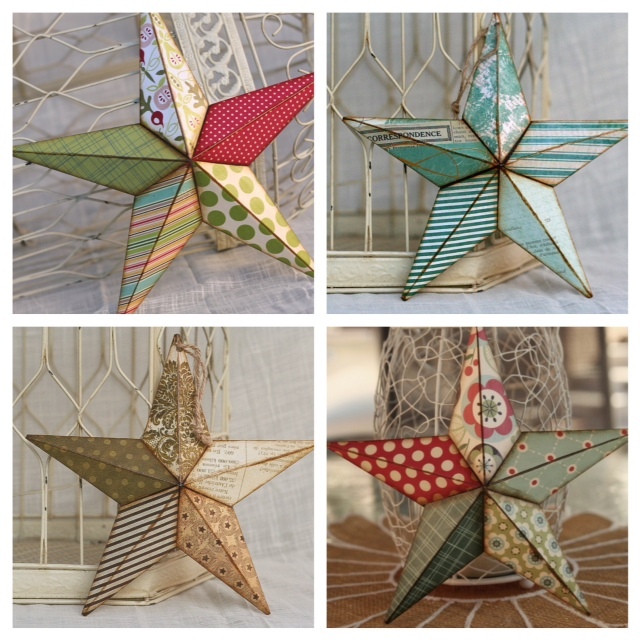 OR choose to make one to match the colors/theme in a bedroom, kitchen, or entry way. Lots of paper options to choose from or bring your own paper and inspiring ideas! RSVPs for this craft are due by Wednesday, June 24 so we have enough supplies. We only have a limited supply of stars, so reserve your spot early for this one! Click here for June Pinspired Registration – SOLD OUT – Please email info@iampinspired.com for more info.